The 2016 Readers’ Favorite Book Awards were held last weekend, in conjunction with the Miami Book Fair International. Stable Relation won a gold medal, and since I never went to my high school graduation, I decided to attend. As if that passes for logic. I’d been there before and love south Florida, even during election years. It’s always been culturally diverse with many Spanish-speaking residents, so I did my best. By that, I mean that I made a point of saying hello, smiling when I didn’t understand, and following with gracias. It felt good to make the effort. I can also order a beer in Spanish, but that’s about it. A convention of introverts. Just think of it. On Friday night, there was a meet and greet for authors at the hotel. Apparently, no one eats on airplanes anymore, and I’d had a close connection, so by the time I finally got to the hotel, I’d already missed two meals. I went down to the bar early and ordered dinner. As I sipped my wine, I took a keepsake out of my pocket. A client had given it to me years ago; a small stone with a word, or in our case, a name, etched into it: “Spirit”. Forty-five minutes later there was still no sign of dinner, I’d had a second glass of wine, and tears were flowing. It wasn’t the first or last time that I’ll cry over a good horse. And it wasn’t just my gratitude for thirty years with my Grandfather Horse, who changed my life. It was also the memory of saying a final good-bye to him two months ago. Yes, I flew to another state to get dressed-up and cry in the dark corner of a bar. I guess the best thing I can say is that, at my age, most people look right past me. It’s one of those backward age-perks. Dinner never came; then I sat through a series of presentations about book marketing, and among other things, was reminded for the umpteenth time to thank people you might want something from in the future. Public relations is a quandary for me. Self-promotion is necessary. At the same time, strategizing about it always feels grimy and insincere. Call me a dweeb–maybe even a Labrador–but I’ll take my PR cues from dogs. They seem to get it right most of the time. Then I stumbled off to bed, after a bag of chips from a vending machine. Wrung out. Gracias. Saturday morning and I did it again. Me, the one who is usually up and writing at 3:30 in the morning, missed breakfast and the bus to the Miami Book Fair. I Ubered (a new verb) there, got some coffee and had a great time. Then I rushed back early, determined to nail down an entire meal and have time to get “formal” for the award presentation, as requested. The presentation was like I imagined graduation would have been. We walked across the stage, got our medals, and smiled for the camera. Applause, and more kind people. And more photos. I hope I smiled–but not too much. What I didn’t expect, descending the steps on the other side of the stage, was the overwhelm of gratitude I felt for how much words have always meant to me, on so many levels. I felt elated and humbled. All the good words. The biggest weekend takeaway was how affirming it was meeting people who had done what I had; authors of true crime and young adult and historical nonfiction. Like Cary Allen Stone, and Tyler, and Michelle Rene, and Karen Hoyle and more than I can list here. New friends and word geeks, one and all. On Sunday, I checked out and got the airport early. I was feeling giddy; I’d been recognized for my gold metal… by the metal detector. Wow, it’s changed me already. I swaggered into the airport bar and pulled out my notebook. The last three weeks, I’ve had a chronic case of blurbitis, and without that measly sink-or-swim paragraph, the next book languishes in limbo forever. No pressure. But I must have snorted when the men next to me at the bar made a joke. That was all it took. They welcomed me in, telling me they were just back from an amazing trip to Cuba. They were Texans; I know better. But they told me about visiting Hemingway’s house and seeing his pet cemetery. They had a photo of four small headstones; I think three of the names might have been some Spanish variation on “Blackie” and one simply said, “Linda.” Conversation sped on to the Cuban economy, vintage cars, and the professor who was their guide; these two longtime friends had quite a time together. I’m certain we didn’t vote the same ticket. Then they ordered a second round. Hemingway; the man’s man author; I asked who their favorite woman author was. The dead air didn’t last long. “Barbara Kingsolver. Poisonwood Bible.” And we have a winner! Eventually, they asked me what I was doing in Miami and I told them. Then I told them they’d heard me right. Heaven forbid getting googled in a bar, but I was there, loud and proud. My life limped and groaned while passing before my eyes. Gracias again, for the statute of limitations. Or maybe it just felt that way. UPDATE: Cover image; check. Ebooks formatted; check. Blurb for back cover edited into submission; check. Barn Dance is almost done, just a pile of technicalities left to do. It’s up to Prairie Moon Press now. Then our flight was announced and we all hugged like old friends, still as different as Americans can be. Standing in my line, I turned and saw one of the men, looking exhausted, half-drunk, and clutching Stable Relation in his arm. 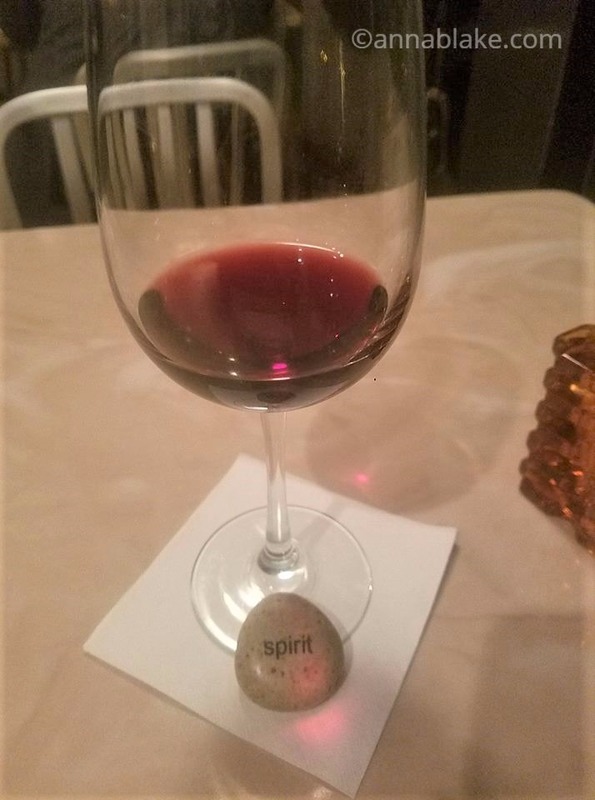 Here’s to you, Spirit. The ride isn’t over yet. Happy, proud, teary. Such a deserved award. I can’t think of a better way to finish out the year than seeing this come full circle. Thanks for sharing the joy. Spirit would approve. You’ve had quite a year yourself. And wasn’t your Amazon review the very first one posted? Thank you, Cheryl. Thanks for the gold star! Kathleen, thanks for reading, too. Thanks, Val. I came away from this trip really understanding how rare it is to have loyal followers and a beginning author. Thanks so much. Got a case of the sniffles here too. So proud of you. And Grandfather horse lives on in all our memories. Virtual Hugs, Shelagh in Vermont. Awesome Anna, I can see your smiling face all through the airport story. Smiling with a surreal feeling… I’m getting comfortable with that sort of thing more as I age. Thanks, Mary. Sweet. You knock me out. Thank you for sharing all the things you felt underneath everything. So good of you to share, as we all have those secret undercurrents running thru our minds all the time. It was great to listen to and feel/hear someone else’s for a change! Annie, it’s a much easier thing than anything else. Keeping secrets half killed me; now the feeling of being vulnerable is fun. Thanks, Annie. You’re welcome to wander through anytime! 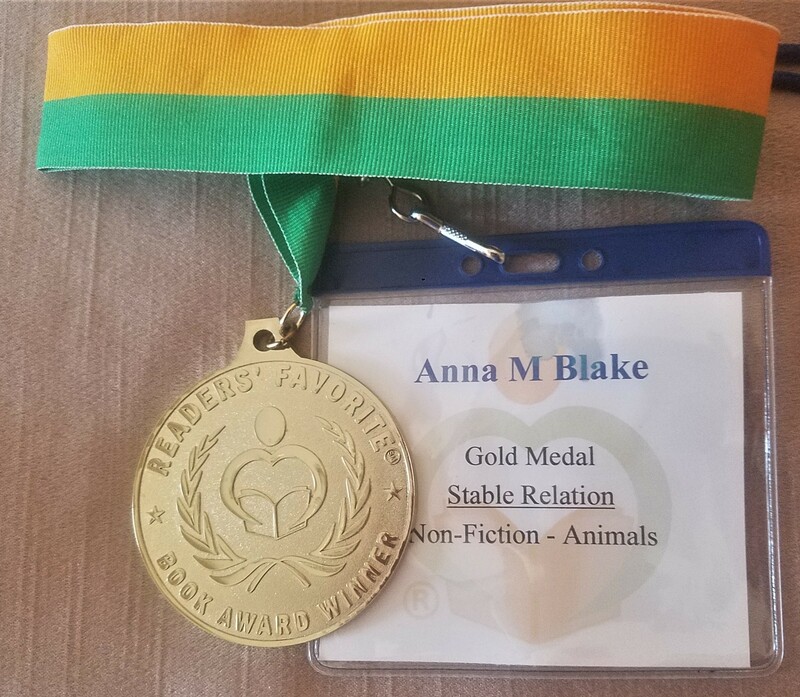 Congratulations on your award, Anna! I have totally fallen in love with every member of your herd and adore both of your books. I am anxiously awaiting the release of Barn Dance. Thank you, thank you!! Thank you, Barbara. I appreciate it! I loved them, too. Thanks, Dee. I wonder how many of us have that feeling you describe? I think I fit in now about as much as I did in the seventh grade.